If you have read an earlier blog on speed training for ultra-runners you’ll know I’m a big fan of speed training and tempo running is a great speed workout. But what is a tempo run? A bit of research on the internet shows that a tempo run can be simply defined as a 20 minute run at threshold pace which is 25-30 seconds per mile slower than current 5k pace or a run at 90 % of your maximum heart rate. Of course if you feel 90% is too hard then 75-85 % of max heart rate is also tempo intensity as is a run of 20-25 minutes in duration at between 10k and 15k race pace.If you are very fit it’s your 15-21k pace. It can also be defined as 70-80% of your aerobic capacity or a run of 20-25 minutes at 20-25 seconds per mile slower than your 5k pace or 40-45 minutes at 15-20 seconds slower than your 10k pace. The fastest pace you can manage for an hour is another common way of describing tempo intensity. So to that’s pretty straight forward then, not much confusion on that issue! Why is there such a big discrepancy on what the experts recommend as a tempo run? The problem is that whilst we’d like to be able to define exactly how fast, far and at what heart rate a tempo run should be done researchers are even questioning whether a definitive point or threshold even exists. Some argue that blood lactate accumulates continuously and no specific threshold can be determined. Whether it exists or not (and I believe it may exist in some people and not in others) both science and runners agree that training just under this supposed threshold does improve running performance significantly, particularly for races 15k to 42km. For example if your marathon pace improves from 5 min ks to 4.30 minute ks then running at 5.30 minute k pace will seem very comfortable. Its no coincidence that the majority of the winners of ultra races are also very credible marathon runners, often sub 2.30. If we agree that tempo running is beneficial for ultrarunners then the next step is working out what a tempo run actually is and how best to use them in your training. The fact that there is no consensus on tempo runs implies that the correct pace, distance and speed will be specific to the individual and the race the individual is training for. When looking at any training run we should always have an understanding of the purpose of a particular training session. How do we want the body to respond? For an ultrarunner two of the most important training effects are an increase in sustainable aerobic running pace (in terms of both speed and duration) and an increase in strength endurance to handle the repetitive loading on the legs that occurs during an ultra. For this to happen we obviously need to run at a speed close to our supposed threshold to stimulate the body to respond by pushing that threshold up but also run for long enough to cause enough damage to the legs to force the body to respond by increasing strength endurance. Pure speed training is great for speed but the load on the legs will be less since you are covering far less ground.Long runs do put a reasonable amount of load through the legs if they are long enough but most of us cant run long more than once a week so tempo running is an ideal mid week training run that develops both speed and strength endurance in the legs. Tempo runs have a good balance of speed and duration that can help us develop both speed and resistance to fatigue. With this in mind I would argue that shorter tempo runs of 15-20 minutes have limited value for ultra runners (except as a means of progressing to longer runs) as the time is not sufficient to place a significant load on the legs. I believe that starting with 2-3 efforts of 15 minutes and then as your mileage and fitness increase build the time up to 90 minutes. One of my favourite tempo runs is 2 x 45 minutes hard with a 10 min jog in between. Keep in mind the pace for the hard sections will be slower than half marathon pace and probably very close to your marathon pace. Strictly speaking 90 minutes isn’t a tempo run but I believe what you lose in running at a slower pace you gain from the extra load on the legs involved in running relatively fast for 90 minutes. 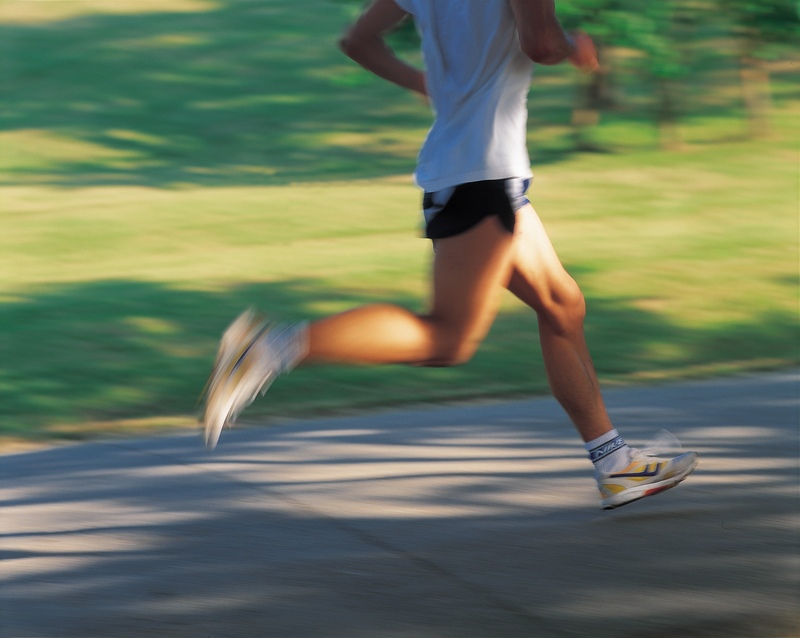 How fast should a tempo run be? The fastest pace you can maintain for the specified time. If you can’t maintain the same pace for the whole run then it’s too fast. If you use a heart rate monitor it will be somewhere between 80-90% but will vary depending on a number of factors including fitness, fatigue levels and the weather so don’t be a slave to a number on your watch. Go with how you feel. Running out and back courses are a great way to determine if you are pacing your runs correctly. For example, if you run out for 10 minutes then turn and run back to the start in 10 minutes then your pacing was good. If you made it back with time to spare you started too slow if you made it back in more than 10 minutes you started too fast. How often should you include a tempo run in your training? This will depend on how long your tempo run is. Anything lasting an hour or less can be done weekly (depending on your other training of course). Longer runs like the one I mentioned above are very demanding and are best done once every 2-3 weeks. Tempo for Ultras are a must I’m my books. I also agree on the extended version of doing tempos for Ultras. A satisfying session, (whilst not my favourite) is West Head Rd. 4 x 40 minutes at 88% of my Ultra Race Pace. However, once I cannot hold the 88% I stop the session. Yet to hold however getting closer. Gary I’m curious about your session. To clarify what you mean by 88% of ultra pace do you mean something like: assuming an ultra pace of 6:00/km (360sec), then is 88% 5:16/km (316sec rounded)? Is there a reason 88% and not something else like 90%? Thanks so much for this, it is exactly what I was just thinking about for this years training plan! Thank you for explaining this. I’m a fairly green newbie and have seen all those pace/time combinations. After this article I understand the goal and the real definition enough to apply to my training. Interestingly I was listening to Pete Jacobs (Ironman World Champion) yesterday who said that he no longer does running speed work. He says it puts too much stress on the body and compromises other sessions. Rather he focuses on strength and endurance training. Lots of different factors involved with a pro triathlete, but interesting none the less.